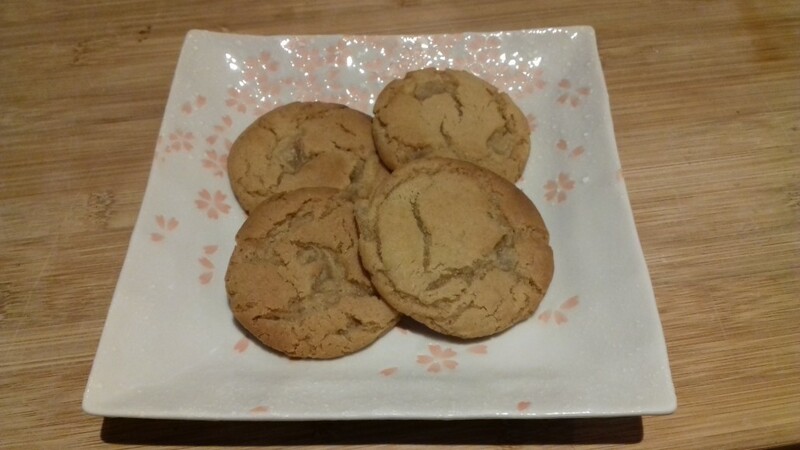 Readers of An Unseen Attraction will be aware that our hero Clem’s housekeeper makes a pretty good ginger biscuit as a cure-all for distress. The ginger biscuits were not long in coming, and Clem was pleased to see their restorative effect. He wasn’t sure what Polly put into them, and nor was anyone else; there were women up and down Wilderness Row formally Not Speaking to her because she refused to give out the recipe. Clem didn’t have a sweet tooth in general but could happily have eaten a plateful at a sitting, and they had much the effect on the system that a stiff drink had on people in books. Rowley nibbled an edge listlessly, sat up, took a second one, and let his hunched shoulders relax a little for the first time since he’d come back. Well, if you’re more generous with your ginger than Polly, here’s a recipe. I hope nothing terrible happens first. Pre-heat the oven to 180/ Gas Mark 4. Beat the butter and sugar until pale and creamy. Add the egg and golden syrup (pro tip: if you oil the spoon very lightly before measuring out the golden syrup, it just slides right off into the bowl and makes life much easier) and the liqueur if using, and continue beating until well combined. Mix the flour and ground ginger into the biscuit mixture and stir until combined. Stir in the crystallized ginger. The dough will be sticky. Shape into 20 walnut-sized balls and place on greased or lined baking sheets. They spread so don’t crowd them. Best to use 3 trays. Bake for 12-15 minutes until golden. The tops will crack and the inside will look a little ooshy. Do not be tempted to cook till they look completely done: they will firm up as they cool, and you want the chewy inside. Leave on the baking tray until cool enough to transfer to a wire rack (they will be very soft when you take them out of the oven). Allow to cool completely before serving insofar as that’s possible. I mean, warm is fine. Look, just let them cool enough to firm up, okay? Or at least, don’t burn your mouth. NB: the ginger liqueur is totally optional. I happen to have a bottle of The King’s Ginger in the house so I use it; don’t make a special trip to the shop. However, if you do have it, you can also make the ginger equivalent of a Kir Royale: put a splosh of ginger liqueur in a champagne glass, top up with sparkling wine for a fizzy, fiery drink. This is a Ginger Royale or, as we call it at ours, a Prince Harry. 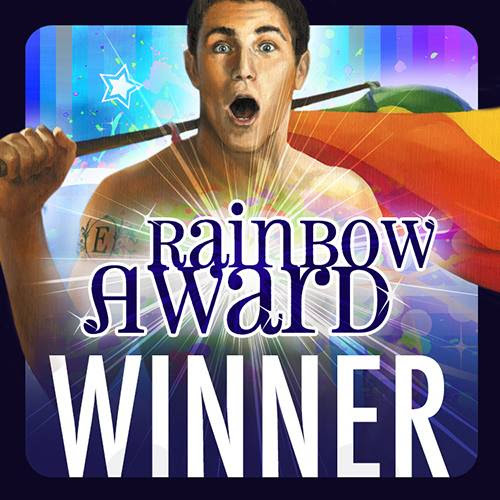 Big, amazing, thrilling news: The 2015 Rainbow Awards have been announced and I’ve done, er, rather well. 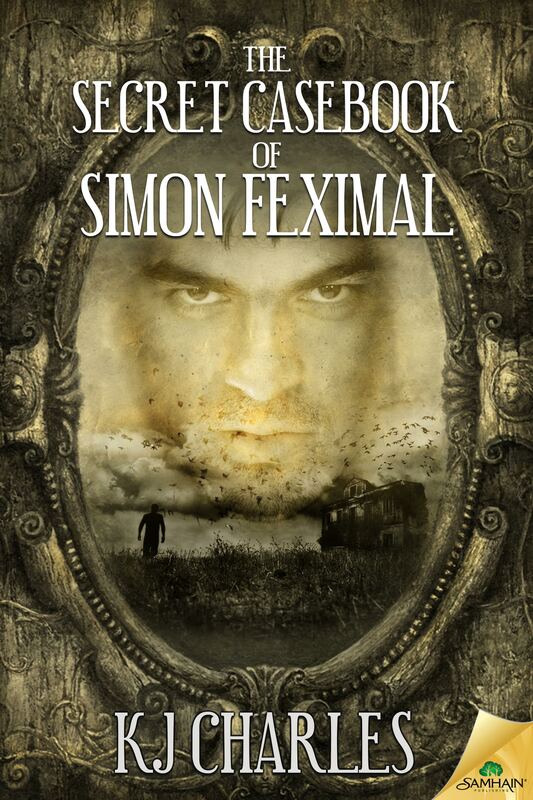 Best Gay Book 1st place tie: The Secret Casebook of Simon Feximal (with Amy Lane’s Beneath the Stain). 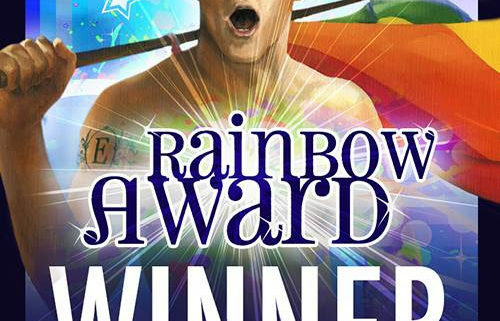 And now it’s walked away with two wins in the Rainbow Awards including joint Best Gay Book, which…wow. So there you go. I’ll just be over here purring quietly for the next month. 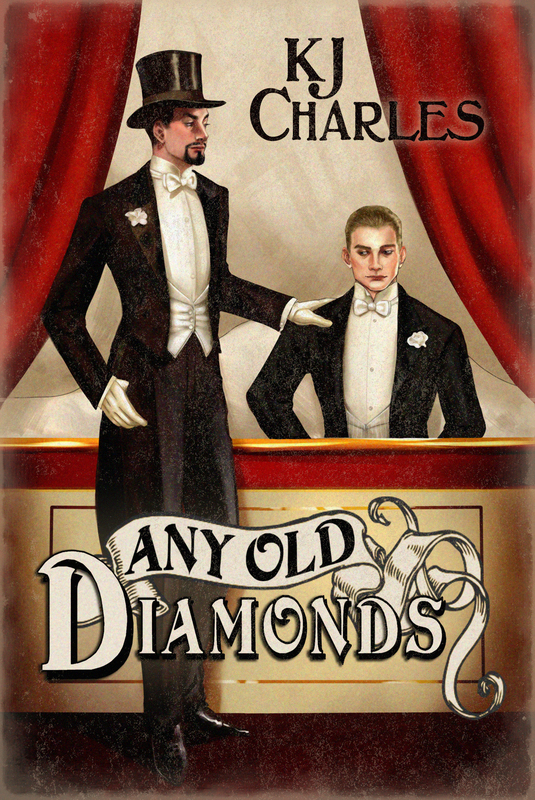 LGBT Anthology 3rd place Charmed & Dangerous (including my story, ‘A Queer Trade’). I’m immensely proud of and honoured by all of this. 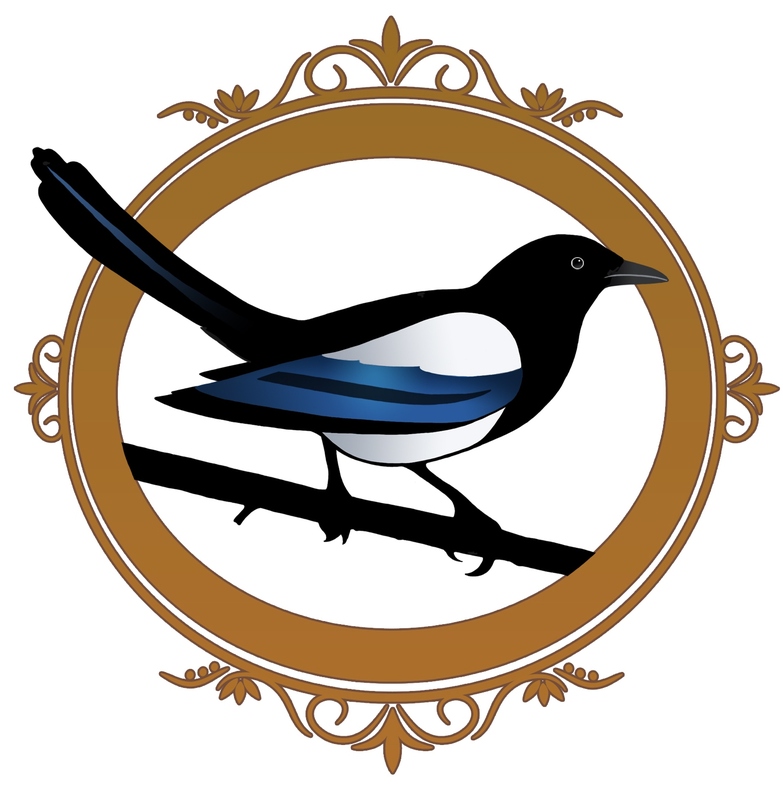 Huge thanks to my editors and publishers (Samhain, Loveswept, JCP Books), and I recommend checking out the full Rainbow Awards results for what I can only describe as a massive and magnificent shopping list. So many excellent books, so much work put into this by judges and organisers, and publishers and editors and cover artists (let alone the authors). It’s a privilege to be part of it. In other news (but still me me me, sorry), the blog tour for A Seditious Affair begins tomorrow, with the book publishing on 15th December. I have done lots and lots of posts about stuff, and there’s giveaways running, so do check the stops out. Links go to site homepages. 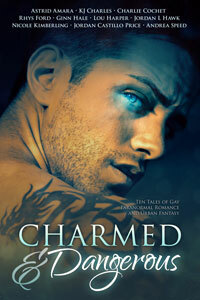 So, there is a new anthology coming: Charmed and Dangerous, a collection of ten m/m paranormal romances. If you like mmpr (and if you’re reading this I have to assume you do or this will be like one of those really awkward party conversations where it turns out nobody knows anyone else there), you are likely to be just slightly thrilled. 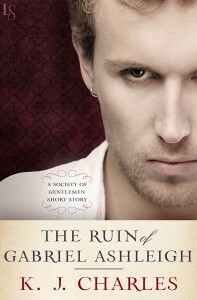 Check out the gorgeous cover, and also the author list. I am unspeakably excited to be part of this. When Jordan Castillo Price asked me to write a story (I like to drop that phrase into conversation), I set out thinking about ideas, and reached, as I often do, for Henry Mayhew. His 1860s book London Labour and the London Poor is an early example of social research, and includes long accounts of what his interviewees said, in their own words. (Ish, at least, there are questions over Mayhew’s literary ambitions, but let’s not be fussy.) Mayhew gave us three hulking volumes that told us how London’s least regarded workers and street-people lived. An old man dies, you see, and his papers are sold off, letters and all; that’s the way to get rid of all the old rubbish, as soon as the old boy’s pointing his toes to the sky. What’s old letters worth, when the writers are dead and buried? Why, perhaps 1½d. a pound, and it’s a rattling big letter that will weigh half-an-ounce. O, it’s a queer trade, but there’s many worse. Apprentice magician Crispin Tredarloe returns to London to find his master dead, and his papers sold. Papers with secrets that could spell death. Waste paper seller Ned Hall can’t resist Crispin’s pleading—and appealing—looks. But can the waste-man and the magician prevent a disaster and save Crispin’s skin? It is, of course, called A Queer Trade. (You wouldn’t have resisted that either.) And while it is an all-new story with completely new characters, sharp-eyed readers may see some old friends passing through. Charmed and Dangerous is out 25 August, a mere fortnight after A Fashionable Indulgence, and weighs in at a startling 180K word length. Have fun! If you sign up to my newsletter I’ll remind you when this and other cool things come out. I promise not to spam. 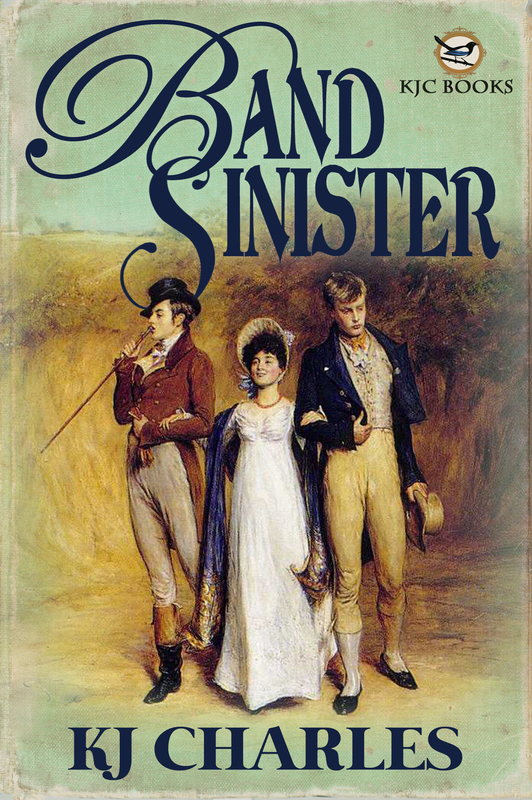 My new book is a romance (long, sometimes difficult, ranging over twenty years) between Simon, a Victorian occult detective, and his companion Robert, a journalist and writer. What do I mean, a Victorian occult detective? Ah, well, I’m glad you asked me that. The Victorian era is famous for its incredible technological progress. This was a century that went from sail power and horses to a massive rail network and steamships capable of crossing the Atlantic. 1819 was the last full year of the Regency; by 1899 Marconi was sending radio across the English Channel, the paperclip had been invented, the theory of evolution was widely accepted, and we’d had the first motorcar companies and indeed the first fatal car crash. “Let the great world spin for ever down the ringing grooves of change,” wrote Tennyson, who lived 1809-1892, and must have been pretty damn confused by it all. Because it was scary. Evolution upended many accepted ideas about Biblical accuracy, chronology and how creation happened. It displaced God from the centre of many people’s world view, leaving a hole that had to be filled with something. There was a religious revival, spreading a peculiarly joyless Evangelical faith of the kind people often associate with the Victorians, but there was also an explosion of belief in dissenting sects, cults, and the supernatural. This was the great era of table-rapping, ectoplasm, séances. It was easy to confuse miracles of nature with the supernatural. The occult started to be presented as if it were a new branch of science, subject to rules and study and investigation. And, honestly, why not? If telegraphy could send words whizzing through wires, why shouldn’t telepathy send words whizzing between brains? If magnetism could somehow produce electricity that made light, why couldn’t animal magnetism (aka mesmerism) produce a current that caused healing? The occult detective was a response to this baffling period of grasping for belief, and confronting new science as it remade the world. It brought the old Gothic tradition together with the exploding genre of detective fiction, to show us people confronting the mysteries of a scary and unknowable world with the tools at their disposal. Thomas Carnacki, ghost-finder, uses an Electric Pentacle to keep evil at bay, and half of his cases show him detecting human fraud rather than supernatural activity. The good guys in Dracula attempt to save a vampire victim by means of blood transfusions. Plenty of the detectives didn’t go to occult school to be called Mr: we have Dr Hesselius, Dr Taverner, Dr Silence, and the boss of them all, Professor van Helsing, with a string of letters after his name. And even when the occult investigators are amateurs, they are very often academics. Most of MR James’ stories centre on scholars, using their powers of research, big libraries and intelligent questioning to solve the central mystery of what the hell is going on. The occult detective says: the world is big, unknowable and terrifying, but we can get a grip on it with courage, by applying our knowledge, using our heads, working together. It stands up for human potential. 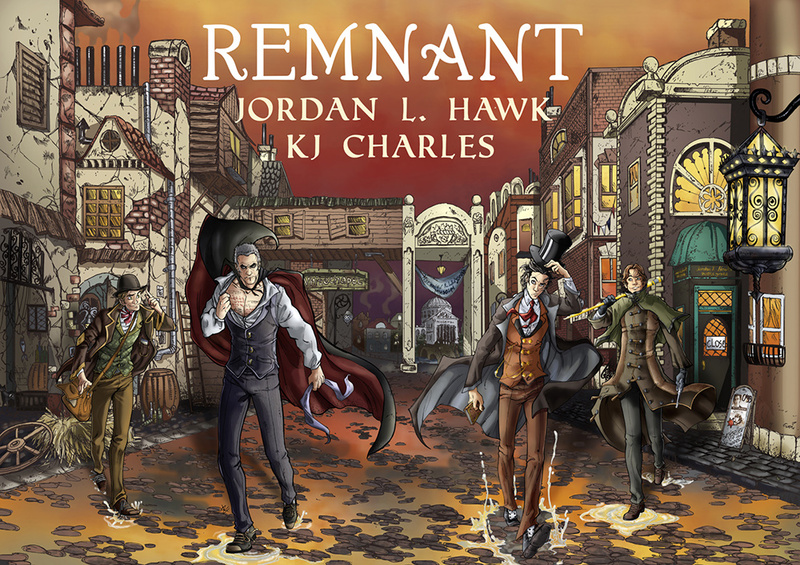 If you have a heart, some books, a brain, and preferably a loyal assistant, you can take on whatever dark horrors the Gothic past throws at you and win. That’s where romance and the occult detective meet. They’re both, fundamentally, about how people find light in a dark and scary world, about what the human brain and heart can do. And that’s why I wrote my occult detective stories as a romance, or possibly why I wrote my romance as occult detective stories. Either way, it worked for me. 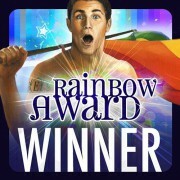 KJ Charles is a Rainbow Award-winning romance writer and freelance editor. She blogs about writing and publishing, spends too much time on Twitter, and has a Facebook group for book chat and sneak peeks. 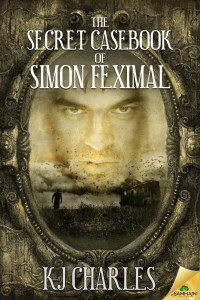 The Secret Casebook of Simon Feximal, a Victorian occult m/m romance, is out now from Samhain.